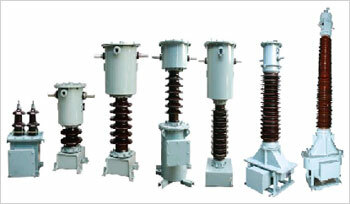 For use in outdoor installation from 11 KV to 220 KV class. Main insulation is provided by world class insulating paper, EHV Grade Oil and good MS Metal Tanks are used along with type tested porcelain. 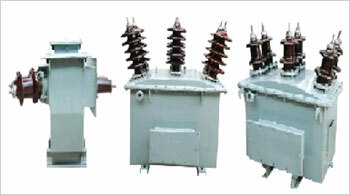 Current Transformers can be of Live or Dead tank type. The process control is very stringent to give the customer a trustworthy product with long life. Hermetically Sealed Oil Filled Outdoor Type. Manufacturing as per IS & IEC standards. Primary Current, Accuracy Class (upto 0.2S), Burden, Short Time Current and Number of Secondary Cores as Specified. 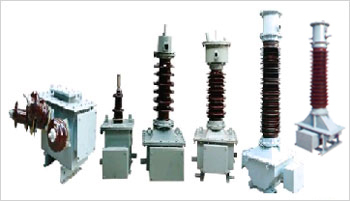 These are combination of Current & Potential Transformers units used for 3 Phase HT Metering purposes in Indoor or Outdoor applications, with accuracy upto 0.2S class. Primary Current, Accuracy Class, Burden and Number of Secondary Cores / Windings as Specified. 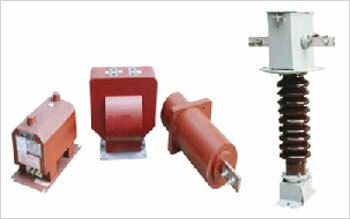 These are for panel mounting application upto 11KV class manufactured with latest technologies. Voltage Class: 6.6KV to 22KV. 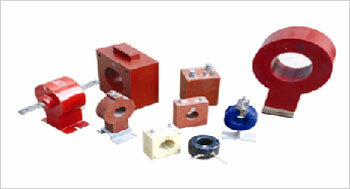 Primary Current, Accuracy Class, Burden and Number of Secondary Cores / Winding as Specified. These are for Indoor panel metering in Tape Wound, Moulded Case or Resin Cast type. We can design to suit customer requirements for Dimensions, Burden, and Accuracy. Primary Current, Secondary Current, Accuracy Class and Burden as Specified. For use in outdoor installations from 11KV to 145KV class. Main insulation is provided by world class insulating paper, EHV Grade Oil and good MS Metal Tanks are used along with type tested porcelain. The process control is very stringent to give the customer a trustworthy product with long life. Accuracy Class (upto 0.2), Burden, RVF and Number of Secondary Windings as Specified.